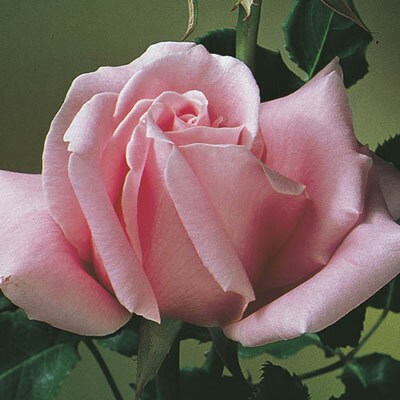 A classic among pink roses, this beauty bears large lovely buds and blooms filled with rich rose perfume and carried on long stems. The vigorous bush is attractively clothed with large apple-green foliage. Established plants give the most bloom. Best color & size when cool.